During Ramadan, working hours in the UAE will be different and all activities will be less intense. However, non-Muslim UAE residents or visitors will still be able to hang out and enjoy the UAE, under certain conditions, of course. 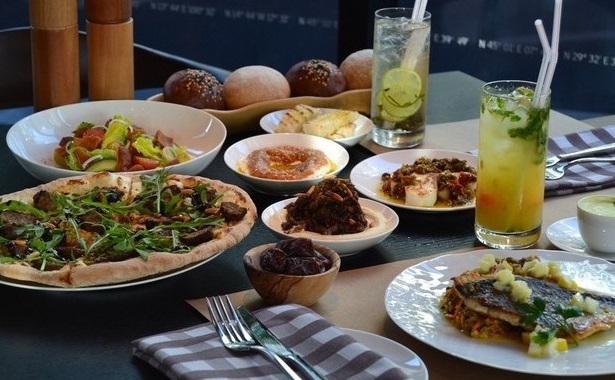 Below is a list of restaurants that are open during the holy month of Ramadan in the UAE. The Lime Tree Café is a classic Dubai cafe that will stay open for dine-in from 7.30 am. The establishment has 2 locations: at Al Quoz, Jumeirah 1, and Sheikh Zayed Road. However, the little outlet on The Beach at JBR will be closed throughout Ramadan. WOX is an excellent street-food-style Asian spot that will continue to serve its noodle and stir fry dishes during Ramadan for lunch and dinner. Also, The Collective, the Grand Hyatt’s buffet restaurant will be open for breakfast and lunch too just like the deli and ice cream joint Panini. Cipriani is a fine-dining Italian restaurant with a wonderfully rich menu that even includes the freshly churned ice cream. Experts recommend the ice cream as well as the gnocchi. Drinks will be served after iftar. Cipriani is located at the Gate Village Number 100 in Dubai and will be open every day from noon to midgnight. Gaucho is opening its doors to G Lounge, throughout the month of Ramadan. Gaucho is a place where everyone can escape the heat and enjoy a special breakfast menu. The drinks menu includes a wide variety of teas, coffees and freshly-made juices. Gaucho is located at Gate Village 8 in Dubai and will be open daily from noon to 3 pm and from 7 pm to 11.30 pm. Andreea’s is a Mediterrasian fusion spot located in the Habtoor Grand. The establishment will be open as usual during Ramadan. However, the ladies night and Social Monday’s will be suspended, but the ladies’ day offers on Thursday and Saturday, and Friday brunch will continue.